Little girls walks in the shop, say she is approximately 18 months old, barely walking... what is the first thing she does when she walks in??? Look at clothes around the shop? No. Do things with her mum/dad? No. The first thing she will do is go straight to the shoes, pick a pair irrespective of size and try them on! This love affair with girls and shoes starts at a very young age and does not end! So the question here is... Is it nurture or nature for the love affair of girls and shoes? 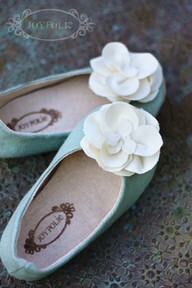 Speaking of shoes we are totally loving the range of minime ballet flats, in store and online!